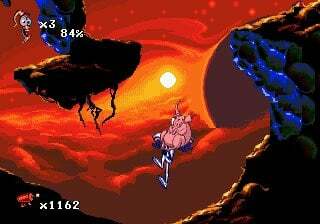 Earthworm Jim is back with his new sidekick, Snott, for an off-the-wall sequel in Earthworm Jim 2. 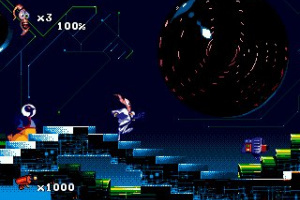 Containing more action than your standard platformer, each stage has a unique style and mission that draws on game play from different genres, including: mazes, trivia contests and arcade style levels. Do you have what it takes to rescue Princess What’s-Her-Name? Featuring music composed by Tommy Tallarico. I really liked this game and while I do admit it is probably worse than the first since it tends to be more of a puzzler than a platformer...(I just beat it on hard the other day and I'm thinking at least 50% of the game is non-platforming) it still is some fun. Very hard though, but...I might have to review this as this is a odd game to talk about. I got the Saturn version and its not as great as the first special edition though the music is great (and sounds much better)! I'll probably get this, but I wish it were the SNES version instead. 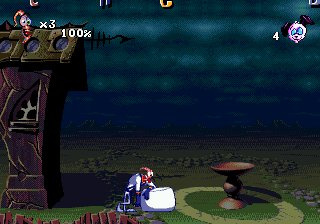 The music sounds a lot better in the SNES version. Excellent game, and a lot more forgiving than the first one. I actually like the music better in the MD version, doesn't have that awful reverb on some instruments. If you could skip the mini-game, I would've given it 5/5. 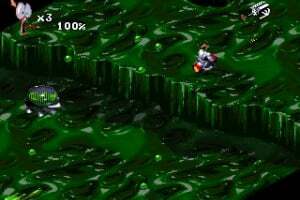 I owned this back on the SNES. It had more ideas than EWJ but wasnt as rock hard in the difficulty department. As a result EWJ is superior. Also the music and artwork seemed to be weirder in EWJ. Very Enjoyable game. Unique level design and overall very addicting. I remember playing this for hours on the genesis. If you have never played it get it when it comes out! 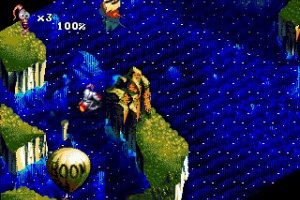 Correct me if I'm wrong, but I think this is the most crazy, varied platformer in existence. 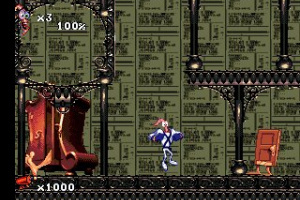 Each level (up to Flyin' King anyway) is different and has a unique twist. Also very funny. I love the falling Grannies and that one part with the game show. looks awesome cant wait for this. Excellent news, it looks like the goods are finally being delivered. This game is pure genius. 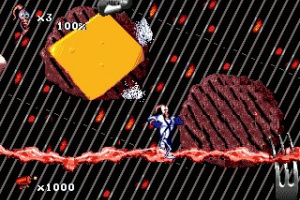 Instead of doing a basic update of the original, they created a game where nearly every level presents you with a unique challenge. 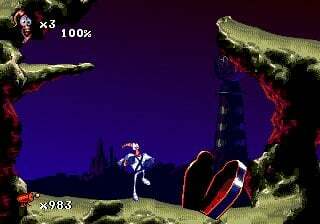 Where one level is a standard run and gun platformer, another has you trying to dig you're way through a sandy cave against a time limit, and another has you playing as a salamander (!? ), swimming through what appear to be the innards of an organism, while Beethoven's Moonlight Sonata plays in the background. Definitely one of the most creative and original titles of the 16 bit era. Can't wait! 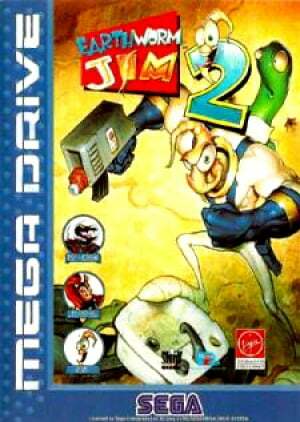 Awesome, more Earthworm Jim. I will probably get this after I get the first one. Meh, considering how much I hated the first EWJ, I'll definitely be passing this one up. Why does Jim walks funny in 2? In 1 he had this macho walk. 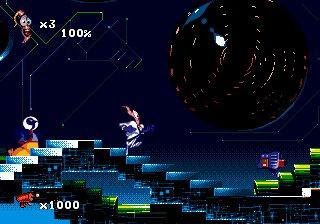 I remember this being pretty hard, but it was a fun challenge....not an excrutiating cuss-at-the-screen cheap difficulty (though Peter the Puppy always gave me a heck of a time). Must have! 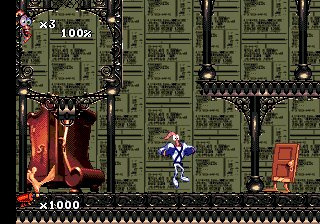 I agree that the SNES version is better, but I'm not surprised we got this version. 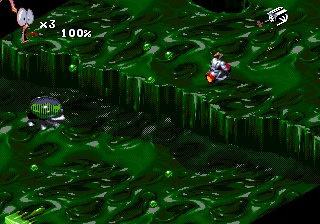 The first game on VC was the Genesis/MD version, so it seems logical we would get the Genesis/MD version of the sequel. But hey, it's plenty good enough. 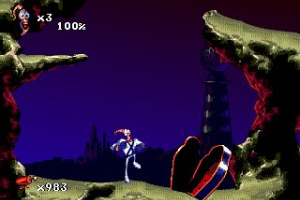 Infact, did you know the first game was built from the ground up for the Genesis/MD? It was simply ported over to the SNES. Oops, since Gameloft just got the rights to EWJ we might never see this game on the VC. 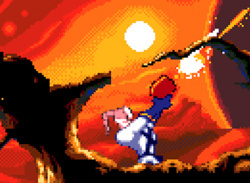 "Infact, did you know the first game was built from the ground up for the Genesis/MD? 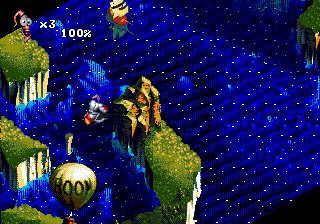 It was simply ported over to the SNES." 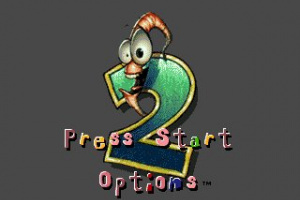 Did you also know that the sequel was built from the ground up on THE SNES instead of the genesis! Glad I own the SNES version, seeing this game might get cancelled on the VC. Sounds... so... awful... 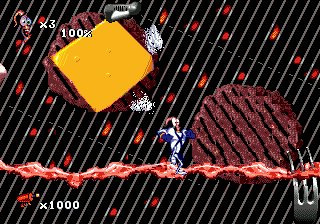 Still a great game though, despite the Genesis sound chip. Heh, this actually looks pretty cool. Maybe better than the first. 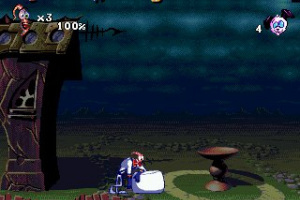 They should've used the SNES version. It looks and sounds way better.